It is essential to know about the list of features different table saws possess in order to determine which one you really need. There are various options available when it comes to portable table saws. When buying one, taking all considerations into account will help you get your woodwork done just right. The key is to know your needs before picking the machine that’s perfectly suitable for you. To help you narrow down your list and find the most efficient portable table saw, here are some features you should not miss out. Do not compromise on the cut quality of your table saw. Whichever style or model you’re picking, make sure it delivers smooth cuts. On that end, it’s important that the machine you choose has the power to cut through tough, thick wood. In addition to smooth cuts, you should also focus on the power of your table saw. 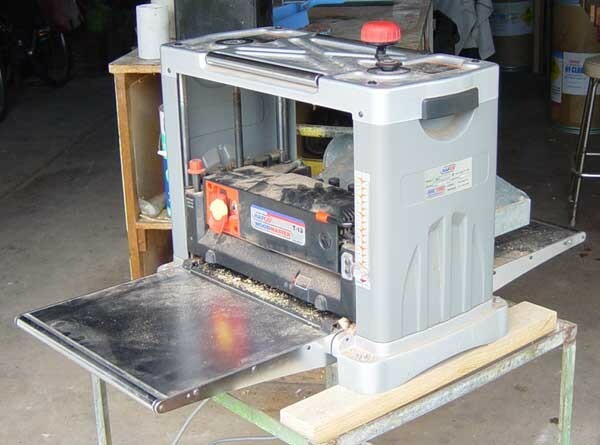 Ideally, a 15-amp motor ensures smooth wood cutting. Features such as electronic feedback and soft-start also ensure great performance and smooth running. While these features may come with a heavier price tag, this is a long-term investment and worth every penny so you can achieve better tool performance. Once you know how to use a table saw properly, the working capacity of your machine is another major factor you must consider. A rip capacity of 24-25 inches is perfect for different woodworking needs. This allows you to easily slice off a large sheet of plywood right from the center. However, this preference may vary greatly depending on your particular needs. If you work with bigger or tougher wood, you may need something in a larger range. The width capacity is as crucial as the length. There are two choices when it comes to wide-capacity fences: The first one comes with a dual-read/separate scale while the other one is with the continuous scale. 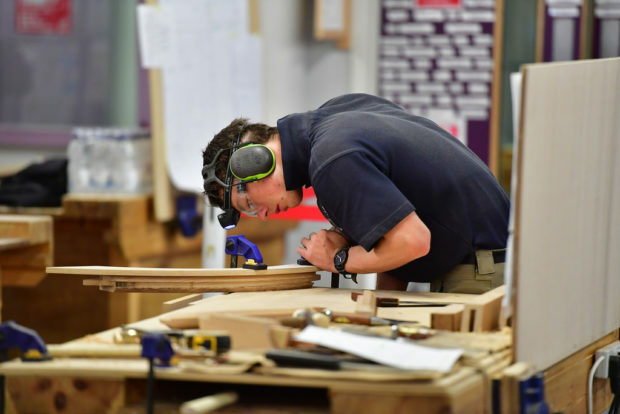 As far as efficiency is concerned, the latter is considered better for your woodworking needs. However, as mentioned earlier, it still depends on your personal needs whether this feature is a must or not. Size also matters when it comes to the portability of your table saw. While all the saws in this category will be portable, a machine that is lightweight but still promises efficient work is exactly what you should look for. Read more about Bosch GTS1031 table saw since it covers this feature. This will give you a better idea of the machine type and the importance of picking the right size when choosing your portable table saw. Also, find out what ideal blade controls look like. This single feature will increase the efficiency of your machine to another level. The blade control is critical since this is something you’ll use to adjust the angle of your blade and get smooth cuts out of wood. The right blade controls allow you to use the machine efficiently. Some machines will have these controls on the side while others will display them more clearly on the front. When it comes to adjusting, here’s a detail you should know: it’s mostly associated with a bevel handwheel, a bevel-lock lever, or a front-crank bevel setting that enables you to manually tilt the saw as per your need. The idea is to get a machine that perfectly fits your particular needs. Choosing the right portable table saw will not only improve your performance but it will make a significant difference at work. All in all, don’t forget to consider the overall portability and your budget in addition to all these technical features.